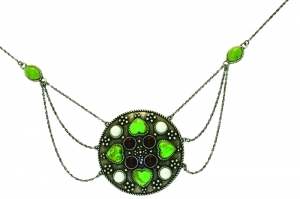 V&A Jewellery - This 'girdle' necklace recalls a beautiful 1903 pendant designed by May Morris, the younger daughter of William Morris. They come in an antigued silver-plated finish. V&A Jewellery - Strawberry Thief Earrings: taken from one of William Morris's best known designs in the Arts & Crafts period. V&A Jewellery - These earrings match the 'girdle' necklace recalls a beautiful 1903 pendant designed by May Morris, the younger daughter of William Morris. V&A Jewellery - Crystal love range - a bold design taken from a 1903 necklace designed by Charles Robert Ashbee, these earrings comprise three familiar shapes: a heart and an oval suspended from a flower. 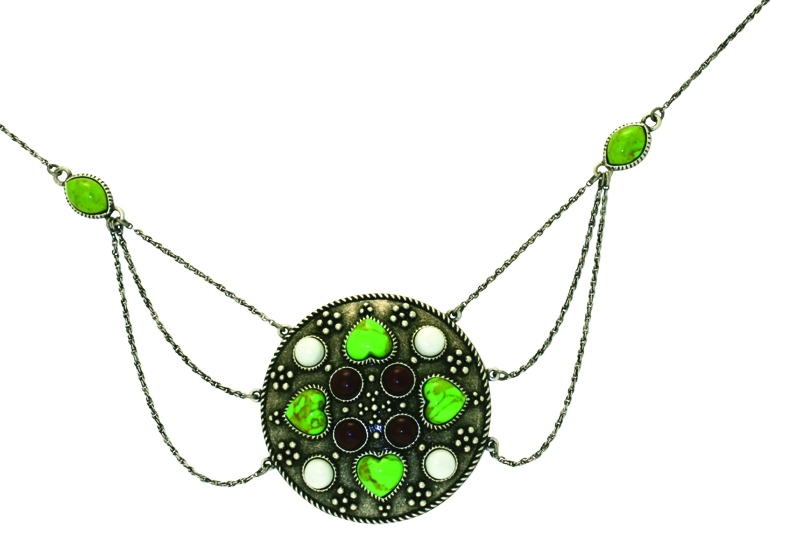 V&A Jewellery - Inspired by a hand crafted pendant made in Birmingham in about 1920 by Georgie and Arther Gaskin. V&A Jewellery - Black enamel weave range - this dazzling ring has an interweaving pattern of black enamel set with 7 cubic zirconia stones and made in gold-plated sterling silver (4.